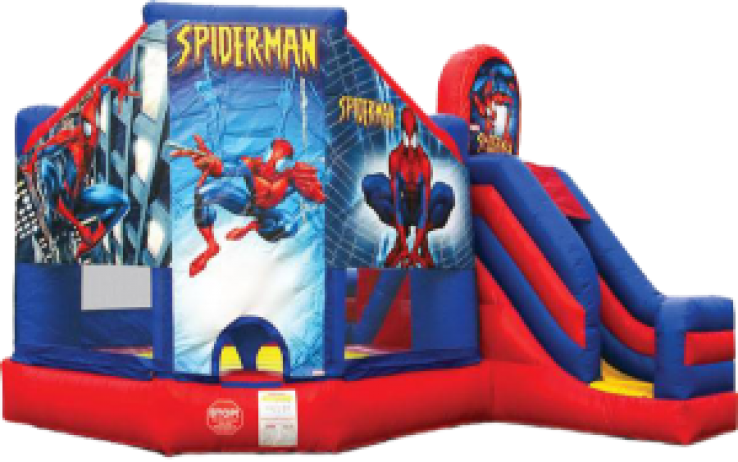 Right Choice Entertainment offers a wide range of bouncy castle rentals Toronto. We can deliver bouncy castles that suit different occasions. From birthday parties to weddings and christening events, our bouncy castles are designed to suit your unique budget and needs. Our team is friendly, professional and offers exceptional customer service. All our bouncy castles are properly maintained. We are fully certified and insured to offer bouncy castle rental services. 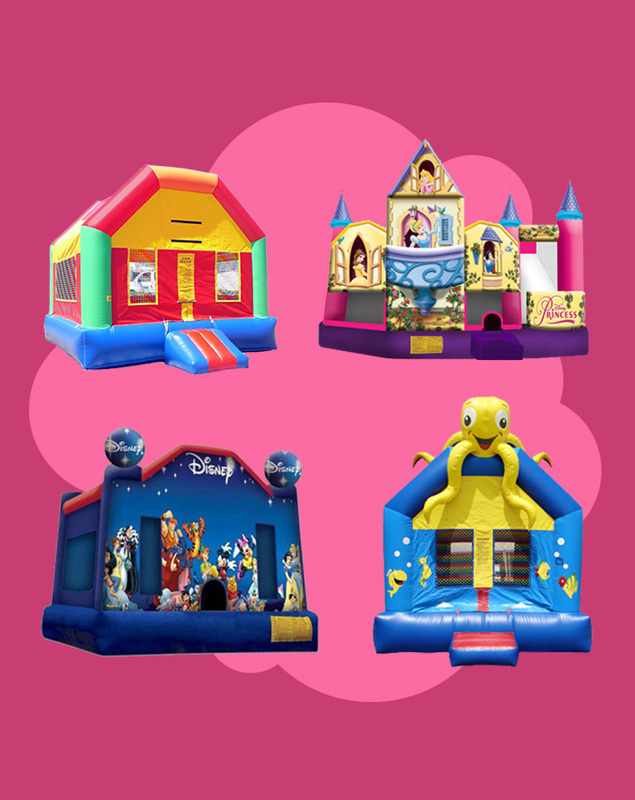 When you come to us, we can help you choose a bouncy castle that matches your needs or type of event you’re hosting. We’ll go over the features of the equipment we have so you can find something that perfectly fits your party. Several factors such as your budget and the theme of your child’s party will determine the type of inflatable that’s suitable to hire. 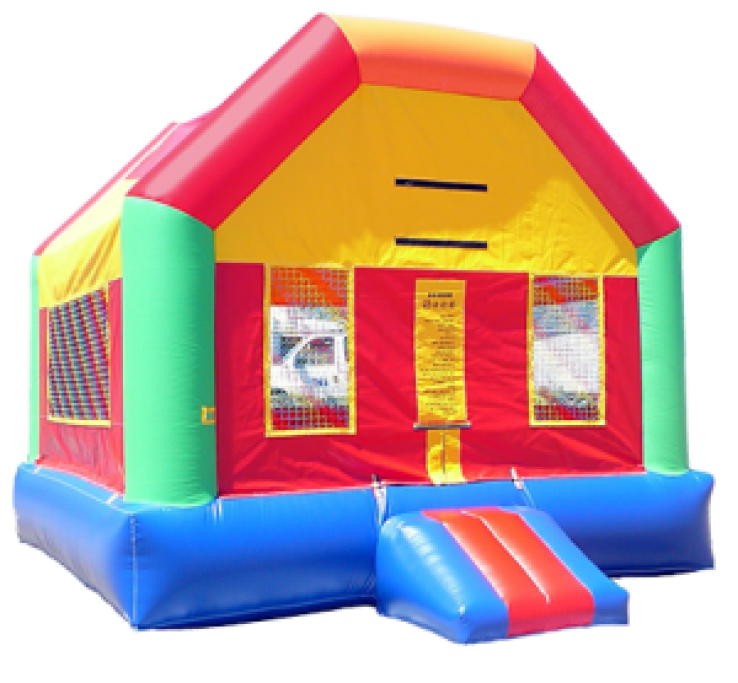 Let’s look at the options you have when it comes to bouncy castles for events. This is quite a popular option for children’s parties. Inflatable slides are soft, bouncy and so much fun. The main feature of this type of bouncy castle is the slide, which in some cases is designed to end up in an inflated pool. 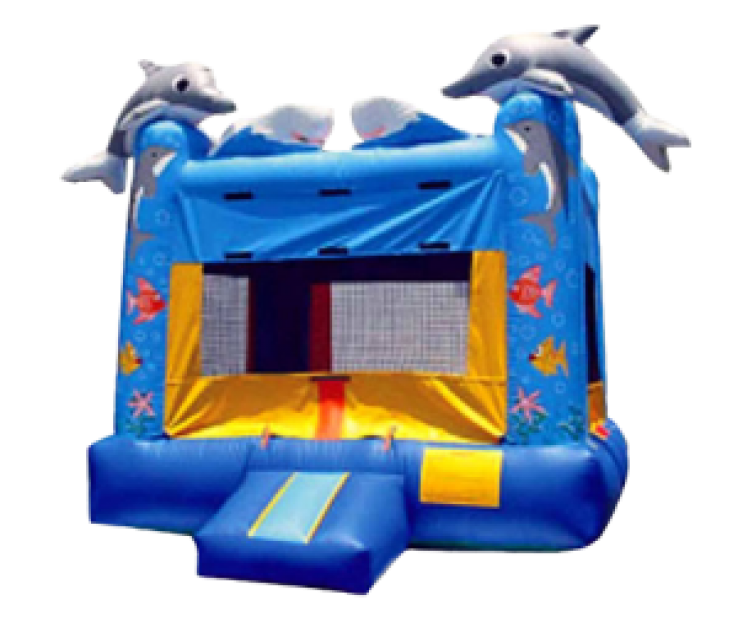 This type of bouncy castle is best used in hot summer months where kids can enjoy swimming. The inflatable slides come in different sizes and some may also accommodate adults. 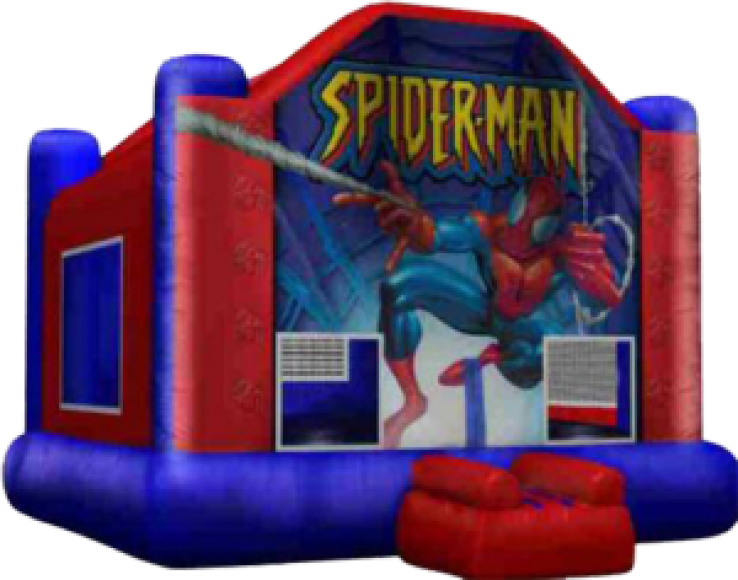 If you’re having an action party for your little one and the theme has something to do with wrestling or boxing then consider having this kind of bouncy castle. This type of bouncy castle is designed with rings, which are inflated and safely bordered to ensure kids are safe when playing inside it. When hiring this type of castle, ensure you follow the safety guidelines. Avoid overcrowding and make sure there’s a person in charge of monitoring the kids throughout. This is another great idea if you want to keep the kids occupied throughout the event. Some bouncy castles are designed with different obstacle courses allowing kids to exercise their creativity and enjoy winning a challenge. You can even have competitions at the event where you award the winner. This helps to keep all the kids busy while making sure everyone is having a good time. If you are looking for an obstacle course bouncy castle, ensure that it has been well maintained and there’s someone to monitor the kids while they are playing. Bouncy castles can also be hired for adult parties. In your child’s birthday, you may want something for the kids and their parents. The difference between adult bouncy castles and those designed for kids only is the material used to make them. Adult inflatables are designed with a sturdy material that can withstand a lot of weight. The high weight limit guarantees safety when a parent gets inside the castle with their child. As a parent, it’s ok to have concerns about your child’s safety while playing on a bouncy castle. These inflatables are common in both public events and private parties and because kids love them, you must ensure that it’s as safe as possible before letting your child in. There are a few things that you can do to guarantee the safety of your little ones. First, check to see if the bouncy castle is properly run. Is there an attendant closely monitoring the number of people getting inside the castle? Does the attendant check the behaviour of kids inside the castle? This is especially important if the bouncy castle has toddlers and much bigger kids. Close monitoring is important to minimize the risk of injuries and accidents. Secondly, check to ensure that the anchorage points (it is recommended that the bouncy castle should have at least 6 of these) that are used have been firmly attached on hard ground. The mooring straps should be firm and attached to solid and not smooth points. Also, make sure the bouncy castle is not overcrowded. When kids are constantly knocking into each other, the load requirements will be exceeded, and this can result in serious accidents. Make sure you speak to the rental company regarding the maximum number of people who can be accommodated in the castle at a time. Thirdly, it’s important to have some rules as to what’s allowed inside the bouncy castles. Children shouldn’t be allowed to get inside the inflatable with shoes or other sharp objects like jewelry and buckles. Most importantly, speak to the bouncy castle rental company regarding any safety concern you may have. Have accurate information on how many people may use the castle at a time, what’s the recommended height and weight. Have someone to regulate any dangerous behaviour inside the bouncy castle at your event. Remember that even though the operator has insurance, you could still be held liable if there’s an accident or injury that occurs because the children were not adequately supervised when using the equipment. Are you planning on hiring a bouncy castle in your next event? It’s important to follow the right guidelines in order to guarantee the safety of users and anyone around it. We’ll go over the standard dos and don’ts of using a bouncy castle. Every bouncy castle has an intended weight and height limit which you should be aware of when hiring it at your party. Ask about this and make sure you don’t exceed it as it could increase the risk of injury or accidents inside the bouncy castle. The blower unit must not be placed close to the inflatable. In fact, it is recommended that it should be placed at least 1.2 meters away from the bouncy castles. This is done to prevent serious accidents, which may occur if it comes into contact with the bouncy castle. When you ask the bouncy castle rental Toronto regarding maintenance, be guaranteed that they’ll tell you it’s properly serviced. Don’t just take their word for it; ask for a current test certificate, this is the only proof that the bouncy castle is in good shape. Surround mats are ideal safety features that can be provided by the bouncy castle rental. Ask about them when renting out this equipment. There are guidelines as to how many anchor points should be used in a bouncy castle depending on its size. Ensure this is followed even on days when the weather is great because the inflatable can still move and get close to the blower unit. Don’t be quick to hire the bouncy castle from an operator without doing some research. Some will offer you cheap equipment but compromise your safety. When you hire the equipment, the operator will give you some instructions, which you must follow. Remember that these instructions are put in place to protect the users against possible injuries and accidents. For instance, users will be advised to avoid climbing the walls of the bouncy castle because this can result in an accident. The deal breaker when it comes to bouncy castle rentals is lack of safety. If it’s not the safest, it’s not worth hiring no matter how cheap the offer is. Ensure that all users are out of the castle before deflating. Deflating it while people are inside can cause serious injury. This is usually avoided for safety purposes. Some objects can puncture the bouncy castle and put all the users at risk. When the weather changes and you notice high winds, discontinue use. High winds can cause serious damage to inflatables and expose the jumpers to injuries. In fact, if you doubt the safety of a bouncy castle, do not use it. Why should you hire a bouncy castle? Ever wondered why kids love bouncy castles? This is one of the most popular entertainment choices for kids during birthday parties, weddings and all kinds of events. So why should you go for a bouncy castle for entertainment? Below are our top reasons to hire a bouncy castle. Bouncy castles are very cost-effective to hire. If your budget is tight, this is something you can afford to squeeze in and keep the energy levels up in your next party. 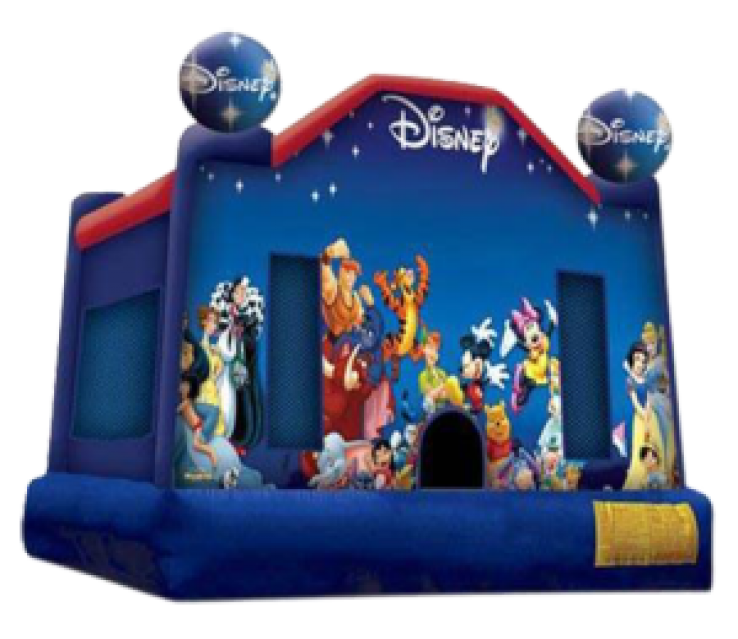 The bouncy castle can be a centerpiece at your event which kids, and even adults, can enjoy. 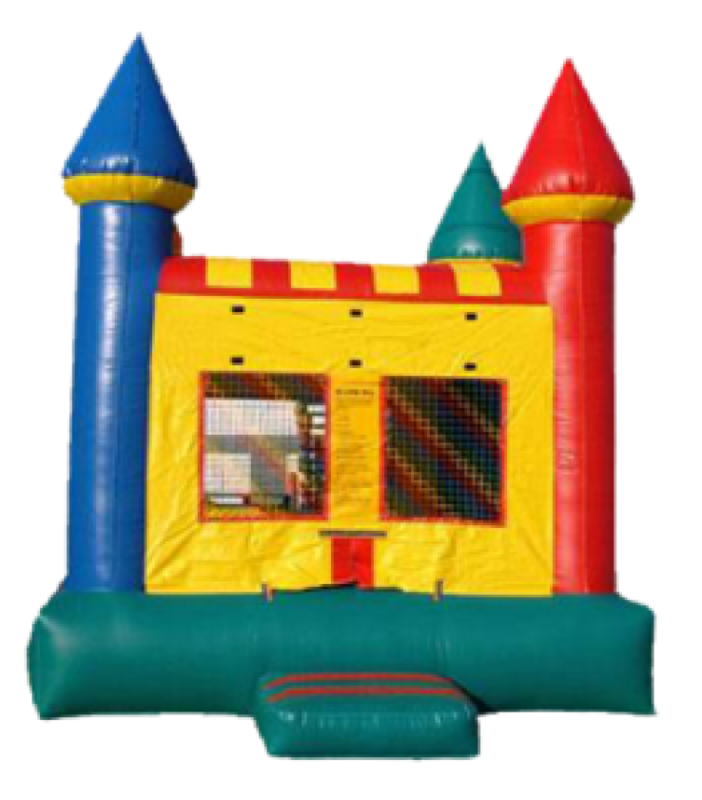 The best part is, you can choose from different types of bouncy castles that vary in size and cost. One thing about bouncy castles that makes them an ideal choice is that you don’t have to do anything as the host. You’ll just direct them where to set up the bouncy castle and everything will be done for you. Once the kids are done, the equipment will be packed away. You can just sit back and relax as the kids enjoy the bouncy castle. If the weather doesn’t permit you to host an outdoor party, you can still hire a bouncy castle and set it up indoors. You can easily find the equipment that fits your space. Just talk to the rental company regarding the venue and you’ll be shown options that suit your budget and space requirements. The best part is, the jumping castle can complement the party theme. Throwing a princess party? 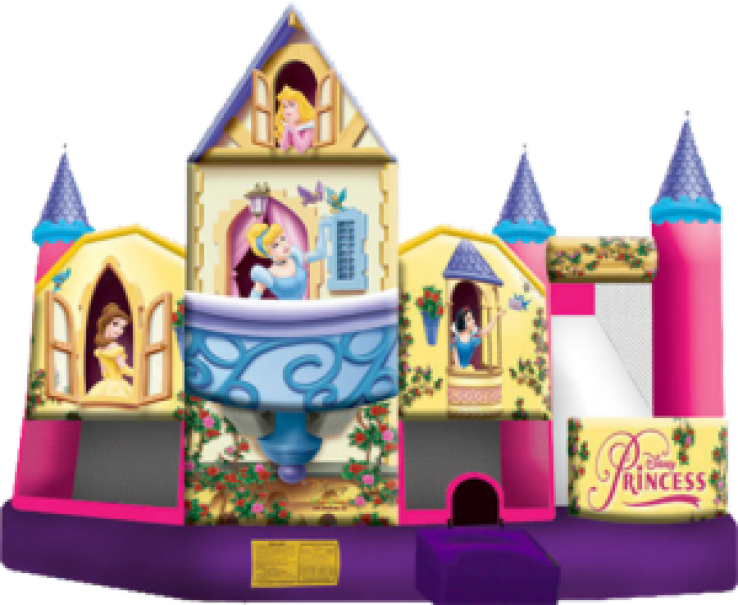 Hire a jumping castle that is designed in the shape of a princess castle. Looking for a bouncy castle for your next party? We get it, finding the perfect bounce house can be so stressful for the host. It’s even more difficult if you don’t know what to look for. 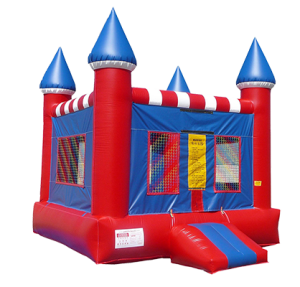 We’ll help you find a bouncy castle that’s perfectly suited for your party. Whether you’re hosting toddlers or more active kids, we’ll share some tips to keep in mind when hiring a bouncy castle. To ascertain the credibility of a bouncy castle rental company, look for referrals from people you know. Your fellow parents in the neighbourhood may have great ideas on bouncy castle rentals in the area. You can still hire a company that you’ve come across online but make sure you perform thorough research to determine their credibility and whether they are reliable. If the company is unprofessional or unreliable, you won’t miss negative reviews from people online. Consider this a red flag and look the other way. Ask any bouncy castle rental company you come across online to share contacts of two or three of their recent clients. You can give them a call and find out if they loved their service before deciding. A reliable rental company will quickly respond when you reach out to them with questions. Watch out for those rental companies that never pick calls or don’t have a specific address given on their website where you can visit and ask questions in person. There are people who only rent bouncy castles as a part-time gig and they could turn out to be unreliable. Deal with a provider who specializes in bouncy castle rentals if you don’t want any disappointment. At Right Choice Entertainment, we have dedicated ourselves to helping you find party entertainers and equipment that suit your needs. We do this full time and possess the knowledge to handle everything in a timely and efficient manner. Find out if the bouncy castle rentals company is insured to offer their services in Toronto. Do they have the industry safety knowledge to maintain the equipment and use it the right way? What should you expect once you hire the bouncy castle? Can they specify the time of arrival and pick up? Any restrictions such as the age allowed inside the bouncy castle should be communicated beforehand. Are the bouncy castles clean and well maintained? When you ask the rental company, they’ll obviously give you a straight yes. It’s up to you to conduct further research and determine if their claims are true. Ask how often they clean the bouncy castles. How often is maintenance done? If the rental company’s equipment is not in good condition, it’s likely that you’ll come across complaints from previous customers online. A good bouncy rental will be cleaned before being shipped to the customer. Do not hire a bouncy castle if the company in question doesn’t carry adequate liability and accident insurance. If there’s a serious accident that results in a lawsuit, you may be held liable because it happened in your property. Your homeowner’s policy may not be able to cover this type of liability. That’s why it’s very important to ensure that the rental company you choose has adequate insurance. When they claim to have adequate insurance, don’t just take their word for it, ask to see an insurance certificate for proof. This could save you a lot of money and time in the event of an injury or accident. There are circumstances which may force you to cancel the bouncy castle service. For instance, if there’s bad weather or high winds, having outdoor activities like a bouncy castle can be a challenge. The rental company should be able to refund your deposit or at least transfer it to a later renewal date because you cannot control the weather changes. Find out if the company has weather-related cancellation policy just to be safe. Hiring a bouncy castle from a company that doesn’t have the required licensing is very risky. Find out if the rental company has the legal rights to offer bouncy castles for rent in Toronto. Licensed companies are more likely to offer reliable and safe equipment and great service. Will they offer a written contract? It’s quite important to ask for a written contract before making any deposit or final payment. This agreement protects you as the customer if something happens. For instance, if there’s a solid reason to cancel the contract, the rules are on paper so you can file a lawsuit if they don’t comply. Be very skeptical if the rental company is not willing to give you a written contract. It could be that they don’t possess the required licensing or insurance to operate bouncy castle rentals in Toronto. You want to partner with a rental company that pays attention to their customer service. Are they always willing to pick calls or call back immediately? Do they offer clear answers to some of your concerns? If you the customer service representative doesn’t want to take time and explain to you what’s on offer, consider this a major red flag. Don’t bother renting from the company if they give you a shoddy service. Why choose Right Choice Entertainment? 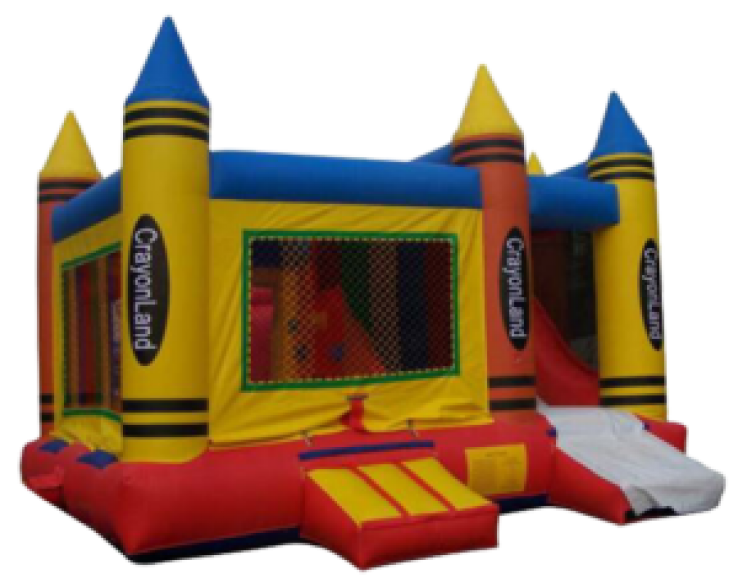 At Right Choice Entertainment, we offer same-day bouncy castle rental Toronto. We will come to your party and handle the entire set up and once you’re done, we’ll take it down and leave your property neat and organized just as we found it. We’ll come in on time and begin set up before your little guests arrive. We pick up the bouncy castles by latest 10pm but if you prefer, we can pick it up the next morning, you’ll pay an extra $50 for this exclusive service. 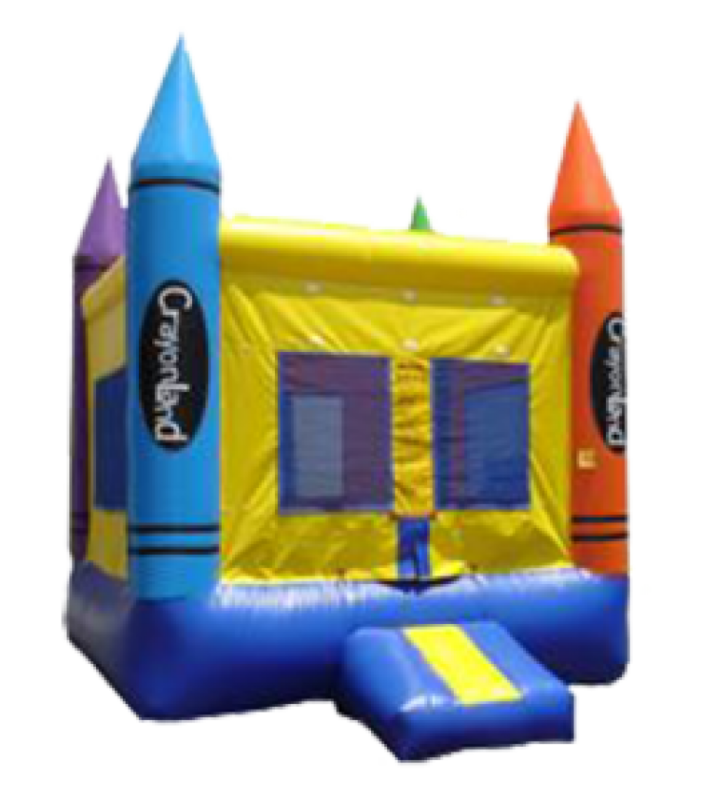 Our equipment is clean and well maintained All our bouncy houses are properly maintained to guarantee customer safety and comfort. After every event, the equipment is cleaned properly to ensure it’s ready for the next use. We conduct routine maintenance and have the necessary documents to show for it. If you need someone to monitor the kids as you enjoy the rest of the event, we’ve got you covered. Our bouncy castles come with attendants who will keep an eye on the jumpers and ensure everyone is safe. You’ll get an attendant who is passionate about kids and knows the safety guidelines of using a bouncy castle. Need a bouncy castle for a birthday party? Want the equipment for an adult event? We’ve got you. Right Choice Entertainment offers a wide range of bouncy castle types for hire. 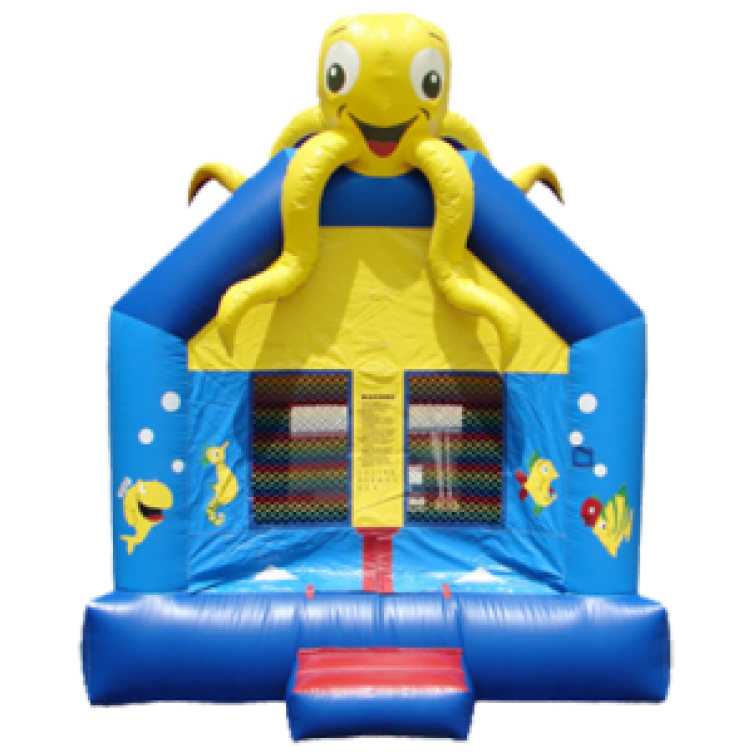 We’ll discuss with you all your party requirements and recommend the most suitable type of bouncy castle rental for you. 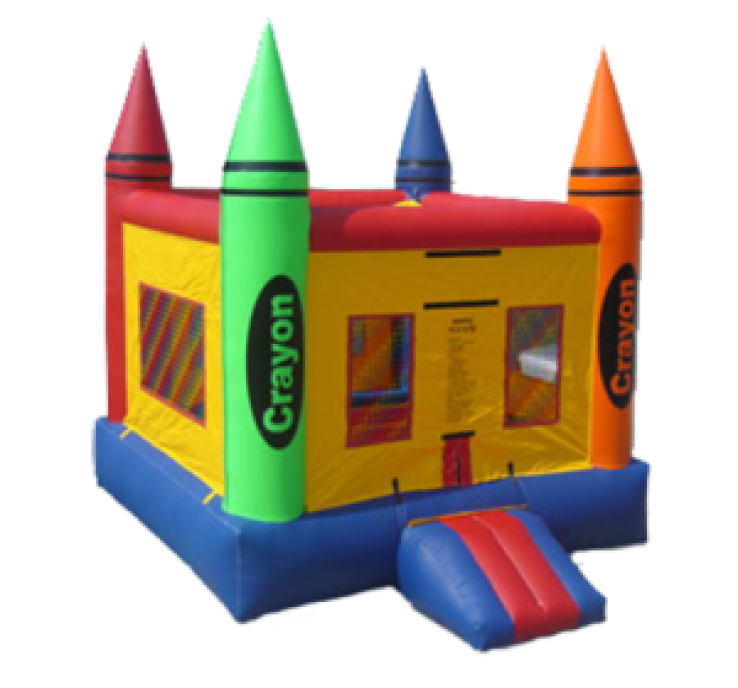 Our bouncy houses and inflatables come in numerous shapes and sizes so it’s all up to you to find something you like and fits your budget/needs. If you need a reputable bouncy castle operator, trust us to offer an exceptional service. We’ve been in the business for years and our clients have given us 5-star reviews for the incredible work we’ve done throughout the years. We’re proud to be one of the leading bouncy castle rental services in Toronto. We go over all your unique requirements and take into account factors like the space available in your venue to find a perfect bouncy castle for you. If you have any question regarding our service, feel free to reach out and we’ll address your concerns. We’re always happy to offer party entertainment that takes your event a notch higher.